My mom made the best Caesar Salad Dressing! We all loved moms salad dressing and would beg for it if it wasn't on the menue. My Christmas gift for you is moms recipe. Put Bacon bits on the salad and use croutons too. You want this to be smack your face off strong, if it burns your tongue from the garlic... you have made this successfully! While doing day to day shopping and getting ready for the holidays I am noticing more and more things that were in my parents house for Christmas. 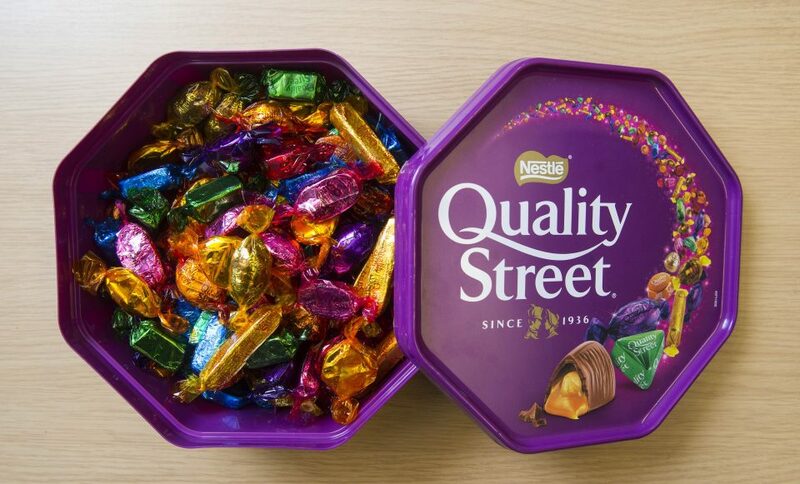 Quality Street were my moms favourite chocolates. My mom always made sure we had these in our stockings every year. Also for years before my parents moved to BC, my moms closest friends would exchange Christmas baking and DEAR GOD it was good. Sandra always made a cereal mix and Reta made squares and cookies. 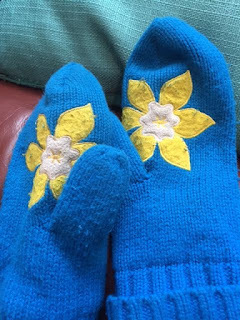 Moms blue daffodil mittens from her Cancer Run For The Cure. Mom would go for a walk every day after dinner. She would carry a plastic bag and collect pop cans she found while on her walk and bring them home to recycle/get money. She was such a freak about recycling she would even make Jones pull over while driving if she saw pop cans on the side of the road. Funny the memories a simple pair of mittens can bring back. Today I asked the kids to do the gratitude's. I am grateful for eggos. I am grateful for Milo. 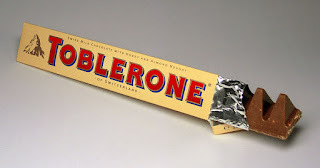 I am grateful for my girl friend. I am grateful for good tasting food. I am grateful for puns.